Most people think of early spring on the Highveld as dusty, windy and yellow. However, when it comes to flowers, no season can beat early spring for variety and colour. 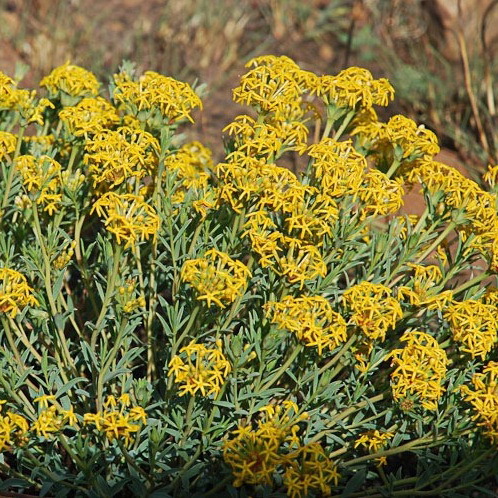 The so-called pre-rain flowers are most conspicuous in areas that have been burnt early in winter. Most of them sprout from a woody rootstock. This “underground storage” is a protection against the ravages of fire but is also a food reservoir. That is why they can sprout and flower even before the first rains. Even grasses store their food in their roots during winter. Gnidia kraussiana is one of the woody rootstock plants that sprout early in spring. 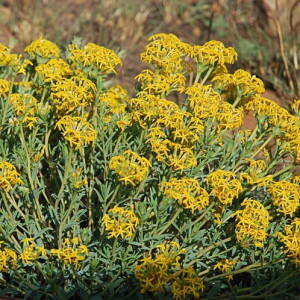 The Gnidias are often called curry bushes because of the yellow splashes they make in the veld. Quite a few species occur on the Highveld that are also very showy. If combined with some Indigoferas such as I. hilaris, the effect is breathtaking. 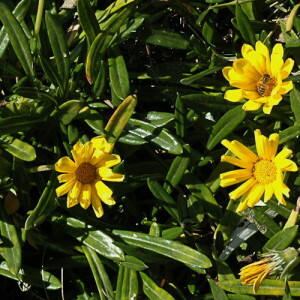 Some of the first flowers you will notice is Gazania krebsiana. Two colours are present on the Highveld, namely white and yellow, but you will always just find one colour at a particular spot. 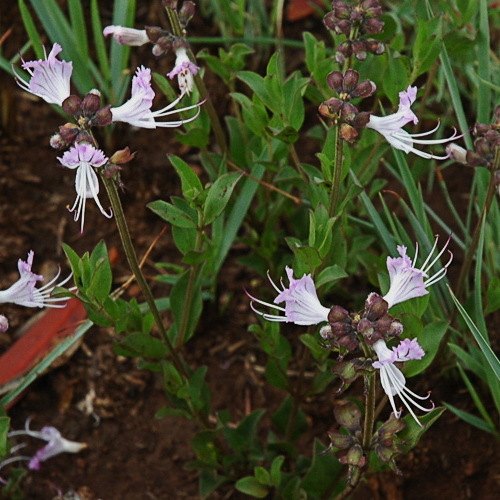 Many hybrids were developed from these plants. In the Pretoria region they are all white and as you move towards Krugersdorp, they become yellow. Another nice one is the chocolate bush, Trichodesma physaloides. 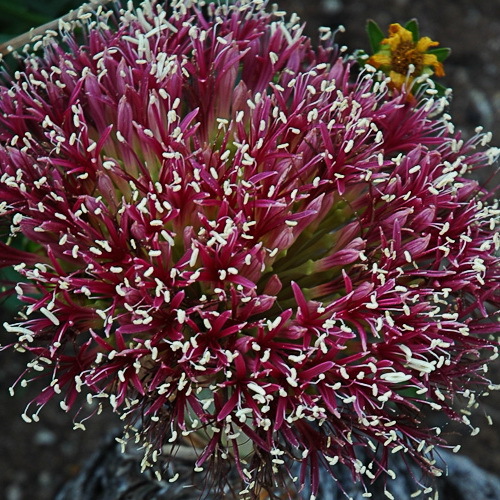 This must rate as one of the most unusual plants in this region. The flowers really look like little chocolate bells. Its behaviour in a garden is still unsure, although I have one that is now in flower in my garden. Becium obovatum, the cat’s whiskers. The cat’s whiskers, Becium obovatum, is another must-see. The blue flowers are very frilly and dainty, hence the common name. It works very well if interplanted with small grasses. Also watch out for Pentanisia angustifolia that is often a companion with lovely blue flowers. 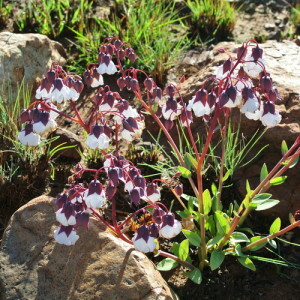 The poison bulb, Boophane disticha is another one to watch out for. The scaled bulb is above ground and the flower is pushed before the fan-shaped leaves appear. Some of these bulbs can be as old as 800 years, according to Prof. Braam van Wyk (pers. comm.). Parinari capensis, an underground tree that occurs in the Grasslands. It is very visible after the veld has been burnt. Other unusual plants that start sprouting now are the “underground” trees. Underground trees have their roots, stem and branches below the surface and with only their twigs and leaves, called ramits, showing above the ground. Their ramits represent the tree canopy. 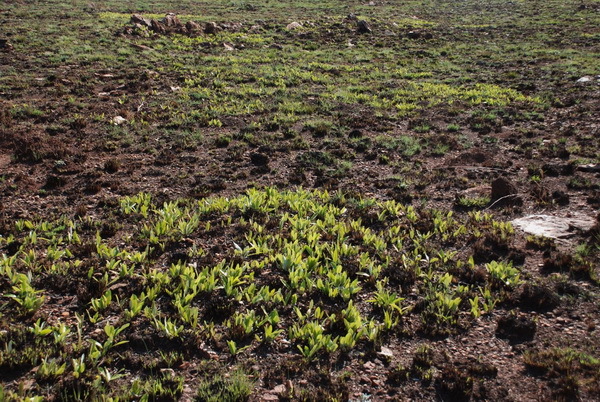 This strategy is an ingenious way of conserving energy as the plant, being underground, does not have to grow strong supportive structures and therefore can colonise many areas not normally conducive to tree growth.Four of them occur on the Highveld. One is a cousin of the Buffalo thorn and is named Ziziphus zeyherii. It has the typical thorns associated with these trees, but are much smaller than the Buffalo thorn. It is also purported that these trees can be of a significant age. It must be noted that one observes very few seedlings of these pre-rain flower plants in the veld. This implies that some of these underground rootstocks must be very old. Even in old fields that were fallow for more than a hundred years, no pre-rain flowers established through germination of seeds. Why such diversity? This is not an easy question to answer and the answer may be two-fold: the landscape is very old and has evolved over thousands, if not millions, of years. 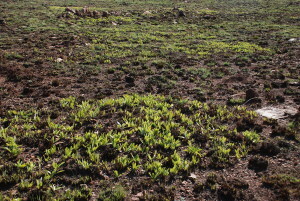 Even today, it is estimated that some of the individual plants in the Grasslands may be more than a thousand years old. Over time, the plants have evolved and most of them are today not wind-pollinated (except for the grasses). This implies that you do not need massive monostands since the pollinators move from plant to plant. But it is highly likely that one pollinator pollinates different plants as the season progresses, otherwise it would not stay alive. 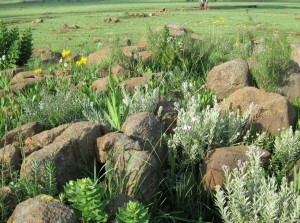 Grassland species in full splendour amongst rocks. The rocks provide additional protection against herbivores and fire. These phenomena are very important when we want to emulate nature in our gardens or parks. Diversity will maintain a healthy insect population than in turn will ensure that the seeds and fruits are there for the birds (and other fauna) to enjoy. The diversity of plants in the Grasslands is also misleading. One thinks of the Grasslands as consisting of grasses only, but that is not true. The grasses dominate when it comes to number of plants (wind pollinated…) but more than 80% of the species in the Grasslands are not grasses. It is this diversity that makes the Grasslands so unique. Planting grasses back into a disturbed site is only 20% of what should be achieved.